The enthusiastic support for the Stampede by the Hopewell Valley community spurred several local businesses and organizations to hold contests and events of their own. 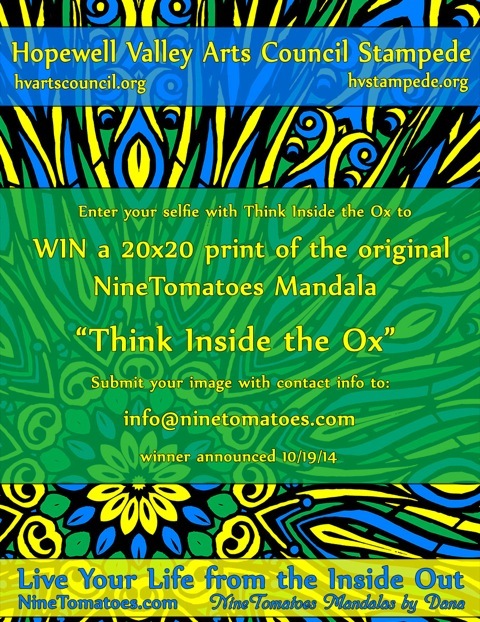 The Pennington Public library held a Design an Ox Contest. And now they are hosting Stampede Sundays! The Blue Bottle Café in Hopewell Borough held a photo contest – the prize for best picture with one of the Stampede oxen was dinner for two. Look for the photos on Instagram with the hashtags #bluebottlecafe #oxesfordinner #photocontest. Hopewell Valley Community Bank held a “selfie oxen contest” with a cash prize of $200! 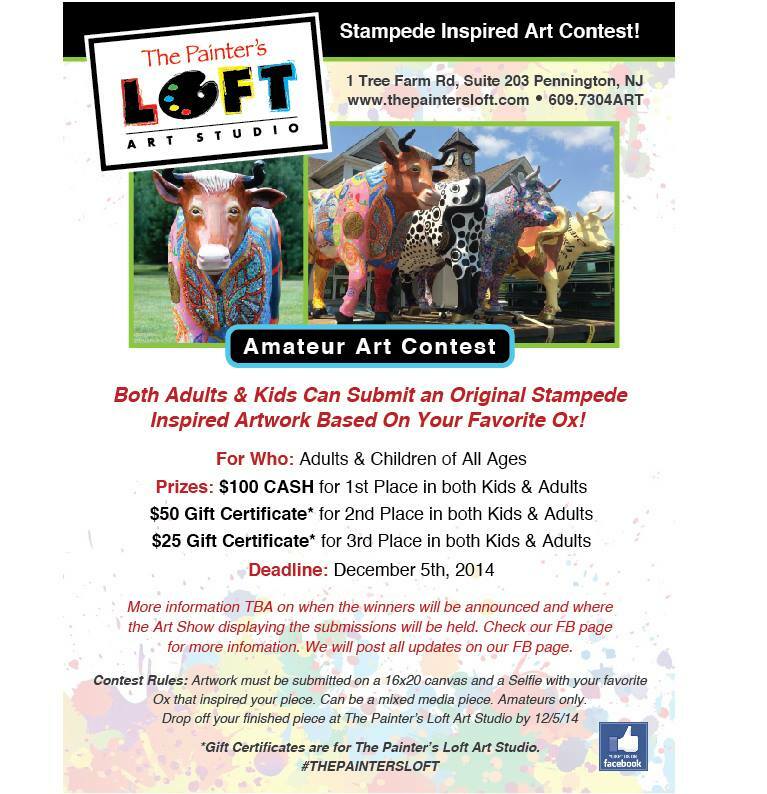 Stampede sponsor The Painter’s Loft Art Studio held a Stampede Inspired Art Contest for adults and kids! $100 CASH for 1st Place, $50 Gift Certificate for 2nd Place, and $25 Gift Certificate for 3rd Place.